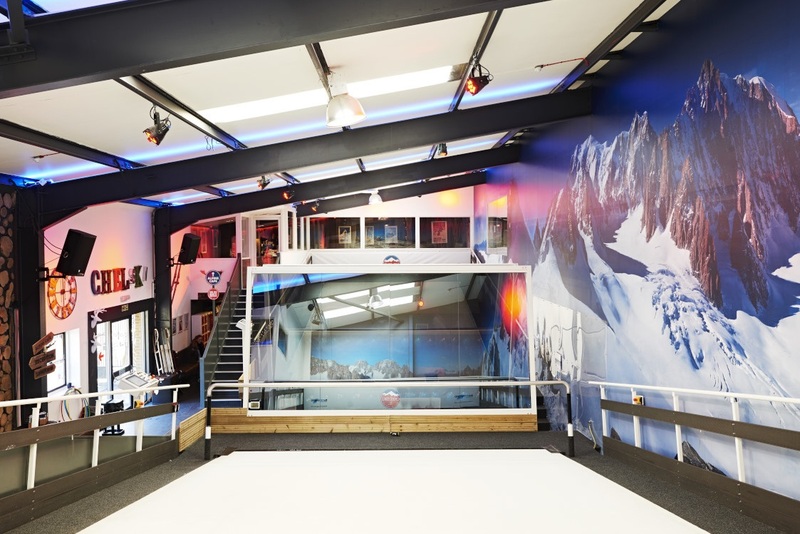 London’s largest indoor ski centre has landed! 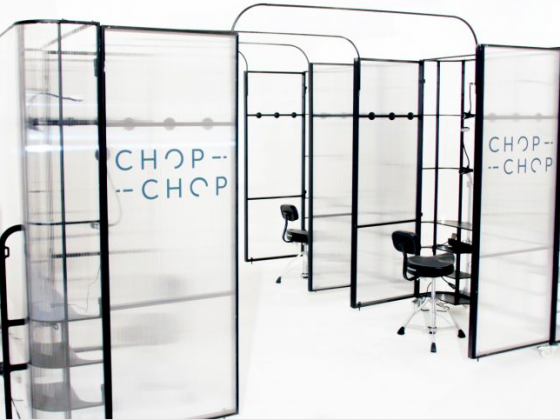 Aptly named Chel-Ski, the Chelsea based Astroturf centre is set against the backdrop of Mont Blanc – all thanks to in2White who’ve provided an epic panorama on the wall. For an educational and adrenalin fuelled sesh on the slopes, there is no real snow here. RAther two remote treadmill style slopes that rotate uphill, allowing you to learn the basics without falling face down in real snow. It can also be used by both budding skiers and snowboarders or for those brushing up on their skills. With some good tuition, you’ll find your ski legs quicker than you think and with one to one sessions, there’s no overcrowding, while patient ski instructors and not a ski lift in sight, all contribute to the pace at which you’ll be up and away. Reward your new found skills with delicious raclette at the Alpine Bar afterwards. Click here for the Chel-Ski website. 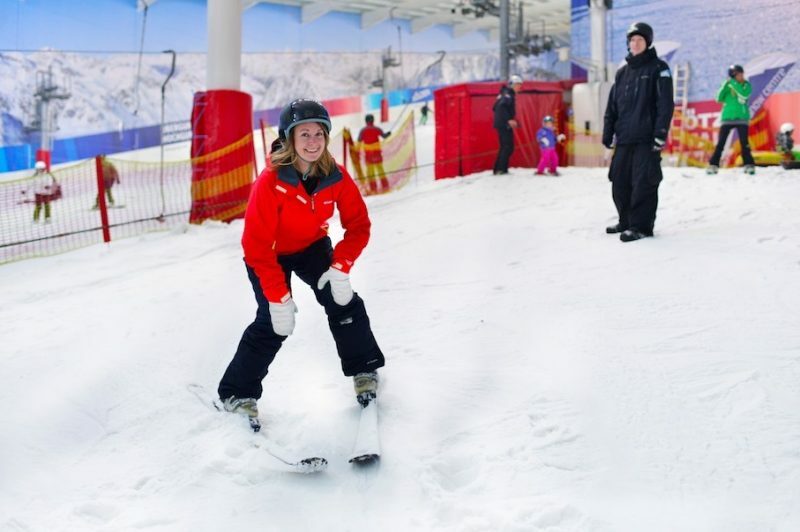 You’ll find the hidden winter paradise Snozone in Milton Keynes, just half an hour away from London Euston on the train, followed by a short taxi ride. 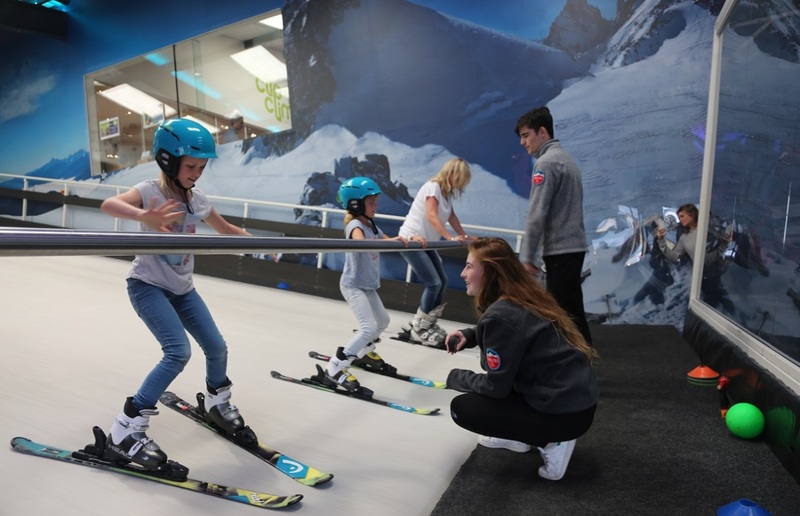 With real snow slopes, Snozone is perfect for beginners with jackets and salopettes provided to wear over your thermals along with helmets, skis and boots. A three hour lesson should be enough to get you on your feet, but you’ll be told the absolute basics before you start – how to make sure your boots fits, posture, balance and so on. Progress from the walking in skis and you’ll be taught the V shape for that all important snow plough – the foundations of those turns! After a quick break at the 90 minute mark, it’s back on the slope to perfect those basic moves and you’ll be given a card at the end to chart your progress, ready for your next session. A three hour combined lesson 1 and 2 for adults is recommended (£79.00) Click here for details. With friendly, informative tutors, you’ll be taken through the equipment selection and facilities as you’re kitted and booted up for a whirl on the UK’s largest training slope – The Snow Centre in Hemel Hempstead. 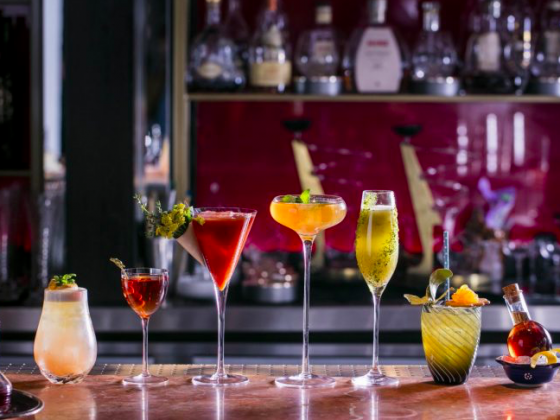 Fluffy, real snow awaits as do freezing temperatures (-2 to -6 degrees), and although you might be chilly, there’s an Alpine Ski Lodge Bar to steady post-skiiing nerves! Offering both group and one on one ski and snow board lessons, there’s also sledging sessions on bank holidays, NYE parties and kids parties for the bravest of kiddy winks. You’ll be taught the very basics through to the snow plough in your first session with a quick check in for progress at the end.